Best Ever Fitness: The Ins and Outs of P90X - Is It Right for You? The Ins and Outs of P90X - Is It Right for You? You've seen the ads for P90X. You've seen the infomercials. It all sounds great. The results the people in the ads have gotten are amazing. They seem to imply that anyone can do it but, is it true? 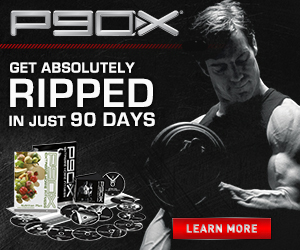 Is P90X the right program for you? Here are some things to consider before you buy. P90X is an intense, advanced level, fitness program. The thing that is not talked about as much as perhaps it should be is the fit test. There is a fitness test that you are supposed to take, and pass, before you begin P90X. Taking the fit test will give you a taste of the program and give you a realistic idea of where your fitness stands in relation to where it needs to be for P90X. You can download the fit test from their website for free before you buy. About half way down the home page there is a link that says "Learn more about P90X". A pop-up window comes up and in the list on the right there is a link that says "Is P90X for you?". Click on that link and it will bring you to a page where you can download the fit test. Take the fit test. If you do not pass or come very close to passing then pass on P90X. If you want to stick with Beachbody, the company that created P90X, they have other programs that you should try first. The two less intense programs that I know of, although I have not tried them myself, are Slim in 6 and Power 90. These programs can help you get your fitness level up to where it needs to be to embark on the P90X program. This program is hard work, really hard work. It is also time consuming. You have to want to change your body. You have to want to go to the next level, maybe a level beyond where you've ever taken your fitness before. You have to commit to working out an hour to an hour and a half seven days a week. They say six days a week in the advertising but that's because they make the stretch program on the seventh day optional. Don't skip it. You need it. P90X takes the guess work out by telling you what workouts to do on what days but, you have to make the time. You have to schedule the workouts into your day and then you have have to actually do it! To make it even more challenging you will work to your limits and even if you follow the program to a T you may not get the results... at first. The body does not always respond immediately to change. It may need time to adjust and reprogram itself. This delay in results is the killer for a lot of people. Be patient and stick with it. If you follow the program it will work. You may need more than one round of the program to get to your goals. I know that's hard to hear for a lot of people but, fitness is an ongoing endeavor. Once you finish P90X you need to continue working out whether it's another round or some other actvity. I recommend doing a full round of P90X and giving it your all. See how far that gets you. If you haven't reached your goals yet then take some time off and then do another round. You may just need a week off. If you're feeling really burned out on P90X then take a little longer but, do come back to it. Each round will bring your closer to your goals. The nutrition plan is no small part of the P90X program. Though we often want to skip nutrition and just do the workouts, following the diet will make a real difference. I say this from personal experience. I have done P90X a few times now. I have done it both with and without using the nutrition program. Without fail I lost more weight and got significantly, noticeably leaner when following the P90X nutrition plan in conjunction with the workouts. Doing the nutrition plan may seem hard, it may seem complicated and like a lot of work. While it does require some thought and planning it is truly worth the effort and over the course of the program, as you get into a routine with it, it does get easier. I hope the information here has been helpful in making your decision about P90X. There are thousands of programs out there, good and not so good. P90X is a program that I have become familiar with and know to be a quality product. You have to be willing to workout hard, invest the time, and change your diet. 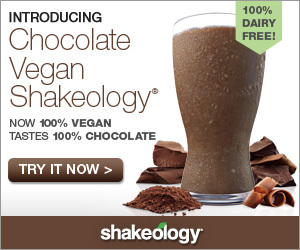 As they say at BeachBody, "Decide. Commit. Succeed." It is that simple but, it's not easy. If you're still on the fence, then go for it. Sometimes the only way to know for sure is to give it a try.